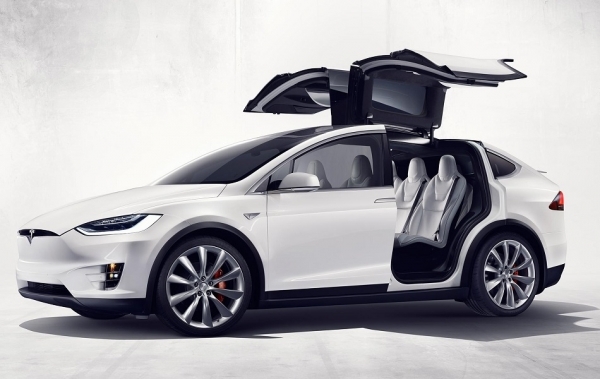 Elon Musk revealed earlier this week that he was personally reviewing the end of line production quality of the Model X following last month's third row seats recall and owners reporting problems with other features. 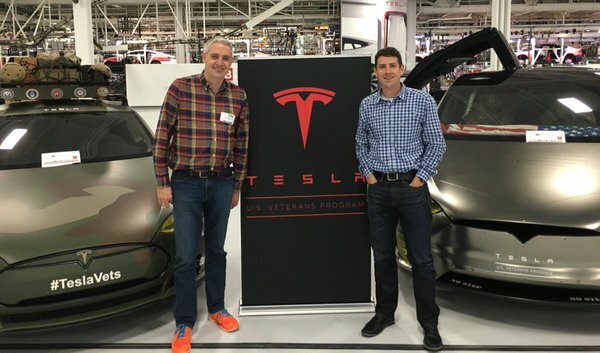 "I feel confident that we're going to hit the 2,000 vehicle a week target by the end of this quarter, of which on the order of 40% are X... There's no question the X is a very difficult car to manufacture. I think it's unquestionably actually the most difficult car to manufacture in the world... Friday at 3 a.m. we achieved our first flawless production of the Model X, where we went through the whole production process and had zero issues. That was a great milestone. And now we are starting to get several in a row that are flawless and so it's really gaining momentum very quickly". "... my desk has frequently been in the factory. This is not some new thing. 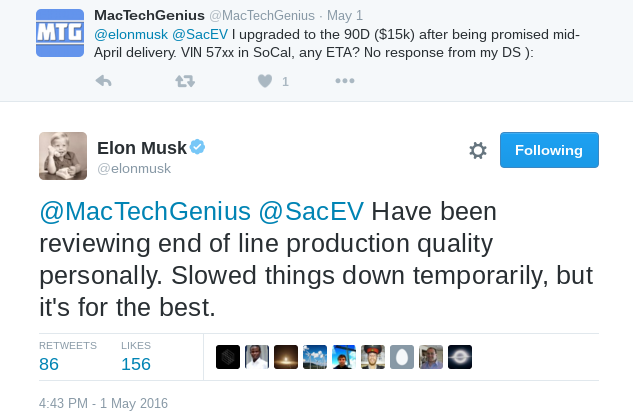 On the Model S ramp, my desk was also in the middle of the factory at the start of the body line for a year. So I move my desk around to wherever the most important place is for the company. And then I sort of maintain a desk there over time to sort of come and check in on things. But I mean, I suspect probably by the end of this quarter, most of my time will not be spent on the factory floor." "...the sort of scope of Tesla's activity is broader than SpaceX, and SpaceX is more of a pure technology company, and does not have the sort of sales service and kind of fleet management and customer financing and all that sort of stuff that Tesla has. Obviously, John McNeill is taking that, has that role at Tesla, and then my focus is primarily on technology, design and manufacturing. So – but I think you certainly can expect that there will be announcements in the fairly near future about some great executives joining the ranks." He went on to hint that in the next few week there will be some exciting announcements about additions to the Tesla management team on the production side after Vice President of Production, Greg Reichow, and Vice President of Manufacturing, Josh Ensign announced they were leaving the company denying claims their departure has something to do with Model X's issues.